Your Guide to How to Grow Potatoes in . . . If you love potatoes, boiled, mashed, roasted, in a salad or stew, then you likely have thought "I wonder how to grow potatoes in . . . pots . . . containers . . . bucket . . . indoors . . . barrels . . . or bags." 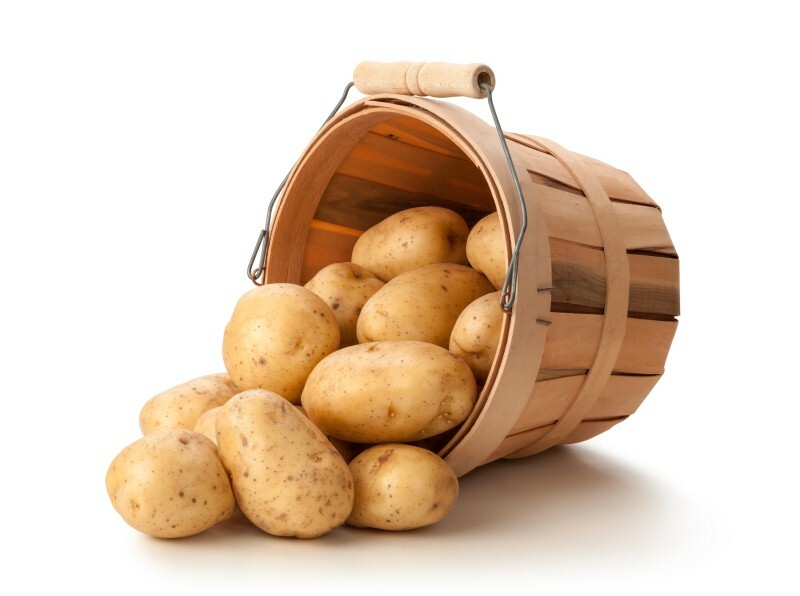 Any gardener will tell you that though it is easy to grow potato plants in containers, you will need to use large containers to allow the plants to grow to their full capacity. Growing potatoes in a pot does not require much space as you can place the pots on your balcony or on the patio. If you do happen to have some gardening space, you could use the ground to plant other vegetables or plants, then try cultivating the potato plants in pots. Amazon has a pot that is especially designed for growing potatoes in pots. Whether you but this pot from amazon or not, be sure to follow the below three easy steps. Choose a variety of potato: Before you attempt to grow potato plants in pots, you need to determine which variety of potato you want to plant. There are generally four varieties to choose from depending on when you want to plant, and how soon you want to harvest. If you want to grow potato plants and have them ready for harvest after 10 - 13 weeks, and it is still early in the year, you can try the first and second early varieties. The other varieties take slightly longer to mature and need to be planted a little later in the year to get a harvest from growing potatoes in a pot. Each variety has different options to choose from depending on your taste and preference. Space the potatoes for maximum yield: Once you have either bought or grown your own seed potatoes, you need to understand how to space them before you attempt to plant and grow potato plants in containers. 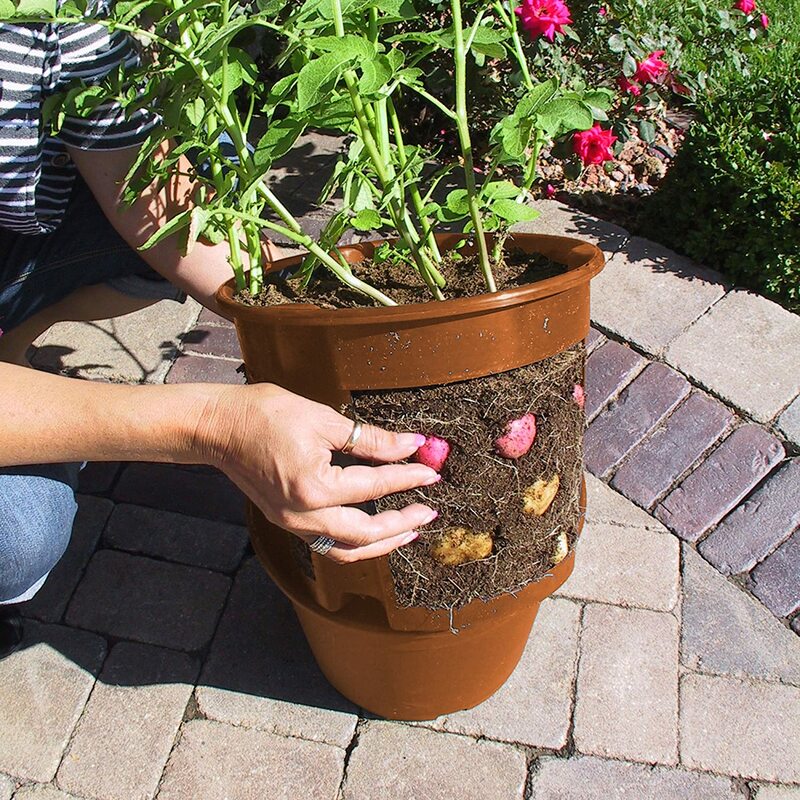 Depending on the size of your container, you can grow potato plants in pots in one or two layers. Most gardening experts will recommend that you space your plants in one layer when growing potatoes in a pot. Layer the bottom of the pot with rocks to assist in drainage, then put in about 10cm of soil mixed with compost. Next comes the seed potatoes with the sprouts facing upwards, then cover with another 10cm of soil mixed with compost. As the plants grow, keep adding soil to keep the roots covered. Keep the potatoes watered: Potatoes grown in a pot should not be drowned in water. To avoid over watering when you grow potato plants in pots, ensure the bottom of the pot has holes for the drainage of excess water. A consistently moist environment is important to grow potato plants in containers and achieve a good yield. If the weather is warmer, you should check the soil twice a day to ensure that it does not dry out. Potatoes grown in a garden have the advantage of being able to draw moisture from the soil that those grown in containers do not have. Will you be growing potato plants in containers? 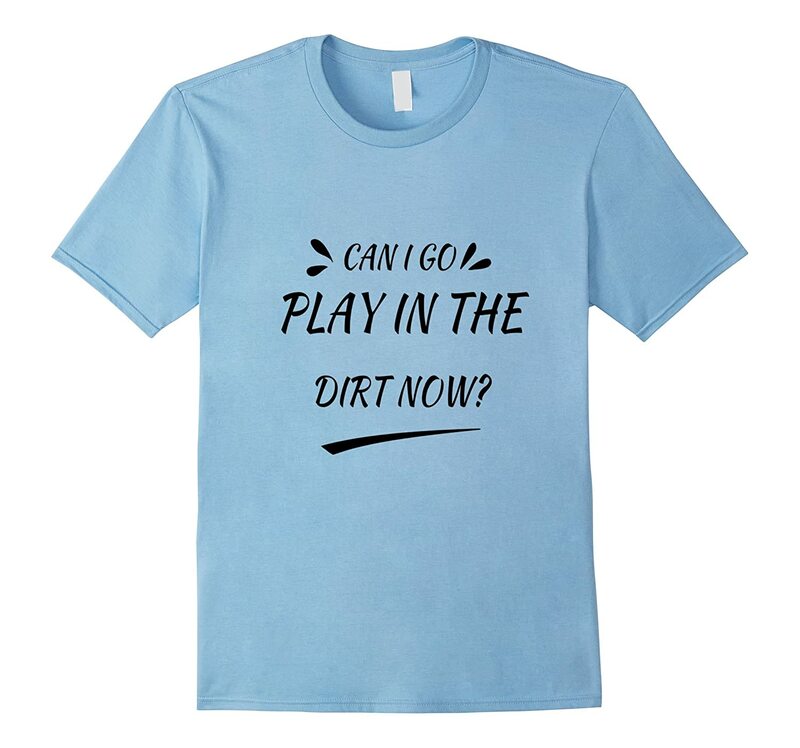 Who wants to play in the dirt? 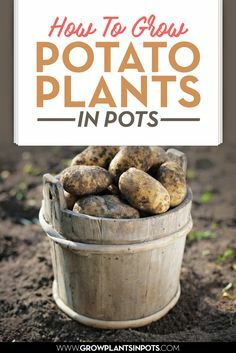 While it may not be everyone's cup of tea to grow potato plants in pots, those who do make the attempt are sure to enjoy cooking and eating freshly harvested potatoes. Aside from being able to choose what to grow, there is also the pride in being able to say that you grew your own potatoes.